French started with a Forced March, and thus began the death struggle for the hill. Turn after turn of combat on the ridge, to the exclusion of much else. In the end the French were repulsed, the Allies pressed forward, and the French rebounded to claim ownership and victory. Last edit: 5 months 1 week ago by Mark-McG. 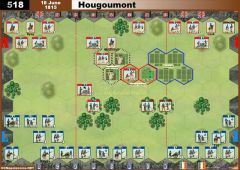 French started by moving forward on the right flank, but they were pushed back by the British with no loss of any units. Then the French moved up on the left flank, seeking to dislodge the Spanish troops on the hill. One Spanish unit fled to the nearby woods, but the others held as the British Guard Grenadiers and Line moved up to support. 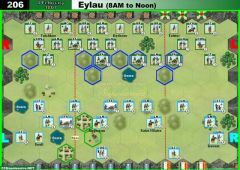 The GG were amazing on the hill, killing the French general and destroying French units. The French retaliated by killing the Spanish general and wiping out a Spanish unit. But the British had the momentum and pushed the French off the hill, wiping out a line unit and crippling the French grenadiers. I'm extending the deadline for Round 3 to 9th December, and Round 4 will be 20th January. Hopefully that will give people enough time to get their matches played as we enter into the silly season around Thanksgiving, Christmas and New Year. Seemed to work out last year with most matches played. That being said.. play early. Don't rely on the last minute, because that will be the day VASSAL goes down. French came in hard on the British left flank (opposite the ridge), and then pushed against the ridge with seeming immunity to hits. The Spanish put a stop to that, and from there I had probably the better of the dice (which was not crash hot really). French chased the Spanish off the ridge, but a late surge back up the ridge gave the Allies the majority for a win. Last edit: 5 months 6 hours ago by Mark-McG. 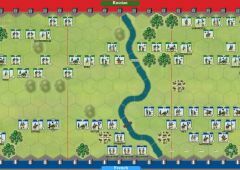 The French started on the left, pushing into the Spanish but they were repulsed with a loss of two line units and a leader. 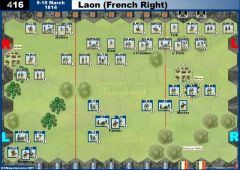 The French then pushed on the right, pushing the British all the way out to the center, where they refused the flank with a strong line that caused the French to look at the left again. A Grand Maneuver onto the hill with two artillery and infantry triggered a Bayonet Charge by the Allies with 2 Guards Gren and 2 Spanish Line. 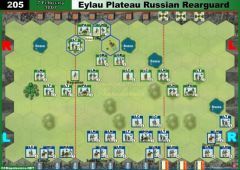 The French were hit hard and in their counter attack a Guard Gren battled back against an artillery unit eliminating it for the victory. A hard fought victory. The French took command of the Barossa Hill early, and held it for the entire battle. They jumped out to an early lead too, but the Allies countered very effectively on their left flank with the RL and LT. 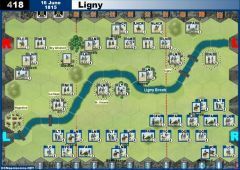 Eventually, the French were able to pick off an infantry unit to take it to 6 banners, then a cavalry charge combined with artillery ran into some French cannister. 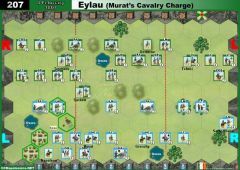 The cavalry survived, just, but were eliminated straight afterwards for the final banner. 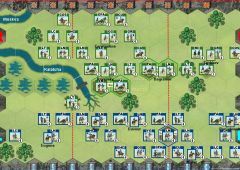 The French tried to assault the hill and pushed back the Spanish quickly. But the combined Spanish and Guards mounted a bayonet charge which pushed them back successfully. 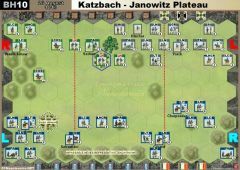 The French charged back themselves, to be met by a fierce counterattack by two Guards units and their left wing was decimated. 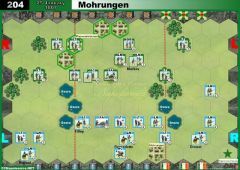 The game started with very effective French range fire. 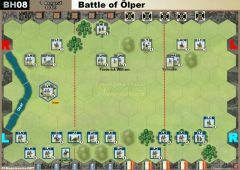 The Allies advanced on the ridge and they seemed to be able to win the battle there when the French heavy cavalry intervened. 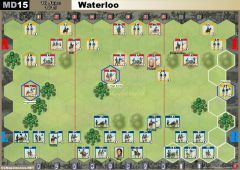 Mark played very well with the cav and basically stopped the advance of British Guard Grenadiers. Losses piled up on both sides, but the Allies were suffering more. I thought the game was lost but Mark did not have the card to close it on his left flank and gave me the time to kill a LT on the French right and win the game. Very balanced. British kept the hills the whole game and in addition had success wiping out leaders during the game. French took quite a few shots from the Rifle Lights but somehow survived the killing shot and made a retreat to the baseline. French reorganized in the center and were able to bounce back to conclude the 2 hour battle. 3 hour game that was quite intense. Quite a bit tactical maneuvering that really countered well on both sides but left up to the dice to decide. Without describing it all here I'd just say 'watch the log file'. May be worth your time to do so. Last edit: 4 months 3 weeks ago by Cavie.